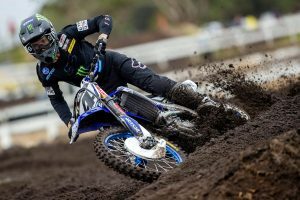 Two-time defending Australian motocross champion Dean Ferris kicked off his Pirelli MX Nationals campaign with a stellar performance, piloting his CDR Yamaha Monster Energy YZ450F to a perfect 1-1 scorecard in the premier class at Newry in Victoria. 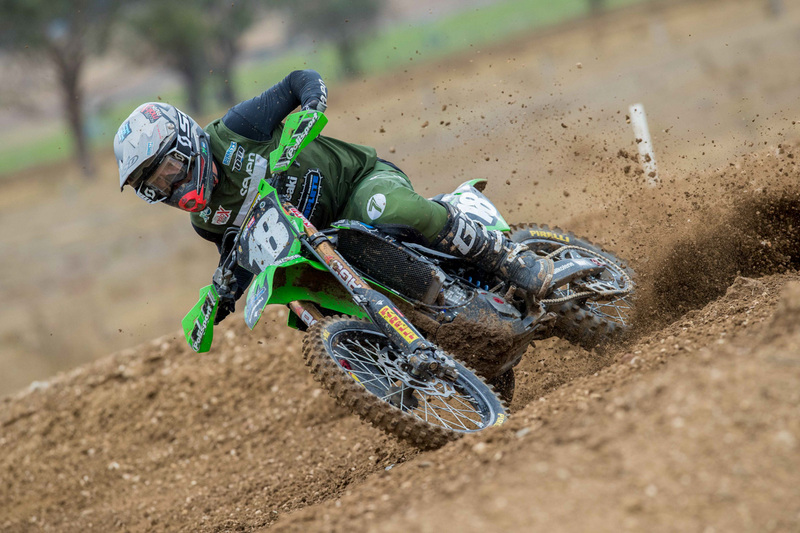 Complete Parts Kawasaki Racing Team’s Aaron Tanti stunned onlookers as he earned a career-first victory in the MX2 division, an impressive result while on debut with the new factory-backed outfit. 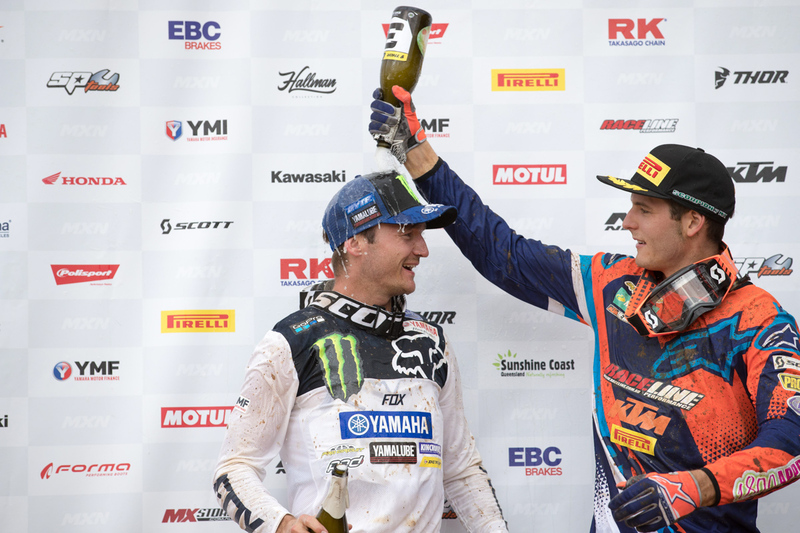 In Debrief, the duo share their thoughts on the opening round of the season. Obviously a really strong and positive start to the season collecting two moto wins, you must be pleased with that. Yeah, I definitely am. It’s always good to come away from round one with the win, but also to get some solid points. You’ve got to shake out the cobwebs a bit, it’s been eight months since we’ve raced the nationals, so it all went pretty well. Last year was a really dominant year for you, although this year the top 10 is full of talent – do you feel the field is closing in on you at all? I don’t know, time will tell. There are few young kids who have stepped up – I’m not sure, we’ll just have to see. I’m just doing my program and I’ve tried to improve as much as I can in the off-season – that’s all I can focus on. 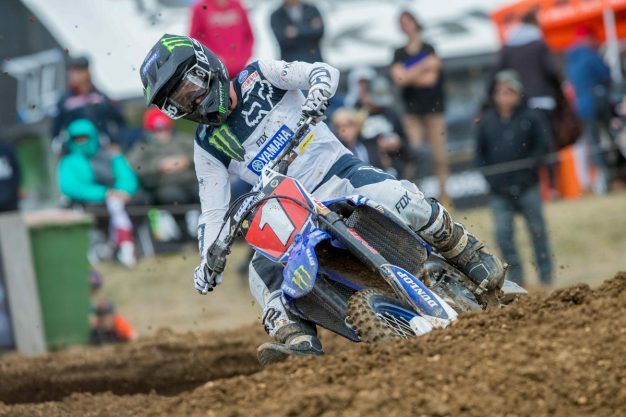 The MX Nationals returned to Newry for the first time in quite a few years, how did you find the circuit? It looked like it became quite challenging towards the end of the weekend. Yeah, it would’ve been tough for the club – they haven’t had rain down there for months and months, so it definitely made the conditions brutal on the day. The circuit was quite sketchy and rough, but still, it suited the good guys – we rose to the occasion and it was definitely different. We couldn’t race intense like we usually do, you had to really use your brain and the skills and techniques that you’ve got – we just had to apply that. So yeah, it was definitely a tough race track. You mentioned the skills you had to rely on, but also being a concrete start, it must’ve been key to get off the gate quickly and get out front. Oh yeah, the start is always important, but especially there it seemed like if you didn’t [get a good one], you would just get peppered with rocks – a lot of guys were going quite fast, so it was key, yeah. It takes a lot of skill to get off the concrete good, and it’s something you really need to focus on – we did, and it worked out well. 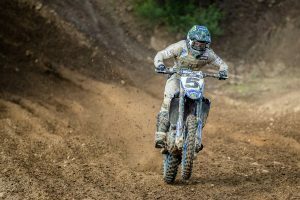 It was your first outing on a national level aboard the all-new 2018 YZ450F, how was it to put it through its paces in a highly-competitive environment? 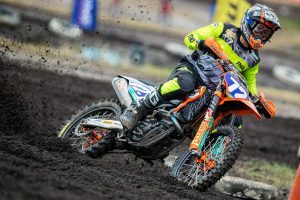 The team and I were super excited to try it out – throughout the off-season, it felt like I was riding it good and the pre-season races went well, but you get to the nationals and the level is higher. We were able to see how it went, and our settings were worked great and we’ve definitely made the right choices with the bike set-up. 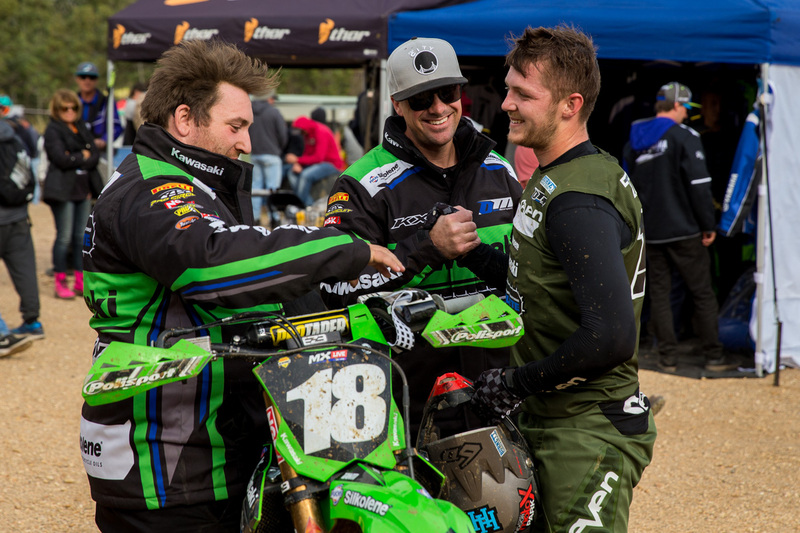 A phenomenal weekend for yourself taking out your first MX Nationals MX2 overall victory, you could only be thrilled with that result. Yeah, I’m super pumped – it’s my first win, my first podium, first race of the year and I’ve got the red plate – it couldn’t be any better. Were you anticipating to be as competitive as what you were – was it always the plan to go out there and win? A win is good, but round one I was just trying get good points in the top five. I’m doing it full-time now thanks to the team, so I knew I was going to be more competitive than ever this year. Coming away with the win is obviously the best result I could ask for. It was your first time out with the Complete Parts Kawasaki Racing Team, how was the team dynamic throughout the weekend? It was really good and there was a really relaxed feel about the whole thing – I rocked up Saturday morning, the truck was set-up, everyone was cruising and the mechanics were checking over the bikes. Looking at some other teams that are a bit rushed, I think it just helps a bit being calm and knowing everything’s ready. The team is really good and switched on. The win has to be a massive boost of confidence especially going into Appin, which is a circuit you’re pretty familiar with. Is the plan for a repeat performance there? Yeah look, that’s what the ultimate goal is, but it’s a long series, so the real goal for me next weekend is to definitely get solid points again, to try and be on the podium and to continue to get consistent results throughout the season. Has the victory prompted you to adjust your goals following the weekend at all? They’ve adjusted a bit, I know I’ve got the speed and my fitness is a lot better this year, and my machine is awesome. I want to hang around the top three to get the most points out of it as possible, it’s a long series and one mistake can cost you the championship.